Car Repossession Help explore ways to get your repossessed car back from a further downslide by getting free advice from a local expert. Get help with repossession of car and fix your financial issues. In America, people need cars for going to work, doing shopping and dropping children at school. However, when cars are under finance, one has to make sure that monthly payments are being paid regularly. If anyone misses payments, the resultant might be car repossession. If you are faced with this problem of auto repo help then we can support you in dealing with the emerging situation. Take advantage of our online services for exploring various solutions that can enable you to keep your car for long. Contact your lender immediately if you have missed some payments. If your bank cannot help you, apply for refinancing loan. You can sell your car for repaying the loan dues. Co-signer can be of help for getting a lower rate. Call your lender - If you have missed few car payments, it could be imperative for you to contact your lender’s representative as early as possible. Explain your current financial situation that has made you go delinquent on payments. Usually, lenders cooperate with borrowers to work some way out. You can get practical solution. Defer payments - You can even request your lender to defer the missed payments. Lender may consider your application and grant you temporary respite from the burden of debt. Normally, loan dealers agree to deferment of payments when borrowers are facing financial problems and are unable to stay current depending on exact situations. Modify loan terms - You can also ask your auto loan dealer to be considered for a modification of loan terms and conditions. Such a move must be considered the moment you feel that you are likely to go delinquent on payments. If you are eligible for a car loan workout, lender may reduce interest rate or extend term. Consider refinance - Car refinancing can help in lowering interest rates drastically and get easily sustainable monthly instalments. Besides, by if you obtain an auto refinance loan, you can get rid of the present high interest car loan almost instantly. However, there may be some basic eligibility requirements, which need to be met. Sell off the vehicle - By selling the car, you can repay the all the outstanding loan dues and enjoy peace of mind. This is in case you think that you can no longer afford to keep the car but want to avoid possible car repossession by your lender. However, you must make an informed decision. By securing car repo help online, you will find it easier to stop repossession of your car by lender. An expert consultation can be useful in analysing the various options that you have at your disposal that includes selling of the vehicle for repaying the debt amount at one go. Contact your car loan dealer at the earliest to try to work out some way out. However, you need to be honest while you explain your financial circumstances to lender. See if your lender can revise your auto loan repayment schedule. Bad financial situation may be short term and you can get out of it without ever losing your vehicle. It is possible to renegotiate original car loan contract for reducing monthly instalments. However, it could be vital for you to get everything in writing from your auto loan dealer. If lender has already repossessed your vehicle then the following information may be of helpful. Lender can sell the repossessed car through private sale or by organising an auction. In addition, if the car is sold for more than amount of loan dues, you cannot claim profits. 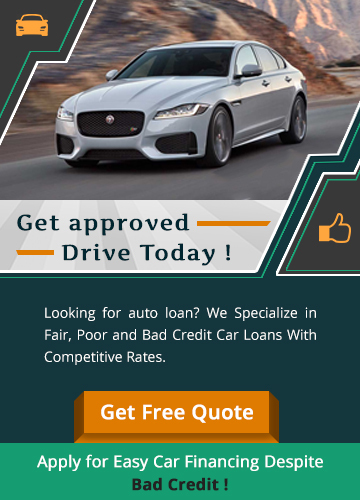 You can purchase the vehicle reinstated by paying back the entire loan amount along with charges like car storage and repossession fees, lawyer’s fees and other costs related to repossession. Few states permit borrowers to get their auto loans reinstated, check if your state allows that. If it is the case then you can pay back the missed payments. As per law, lender will return all personal belongings of borrower, which were in the vehicle at the time of its repossession. Call your loan dealer as soon as possible if you realize that you may go delinquent on monthly car payments. Lenders can help in setting up new loan payment schedules. If lender agrees to revise payment arrangement then you need to get that in writing so that the contents of the original loan contract will be no longer in effect. If you go delinquent on new car payment schedule or there is lapse of car insurance coverage then your loan dealer may repossess the car. You can surrender your car to the lender if you intend to relinquish your financial responsibility and enjoy peace of mind. When you think that lender will repossess car then the first thing you need to do is remove all personal belongings in the vehicle as later on they may be extremely difficult to get back. If lender has already seized your car then you might be required to pay all outstanding loan dues along with repossession fees, storage fees, interests, etc. In such a case, it could be advisable to seek help with repossession of car from a competent local attorney for getting advice. Once the car is sold, lender will notify you. If the proceeds of sale are less than the total amount of loan dues then you will have to pay the balance amount. On the other hand, if proceeds of sale are on the higher side, lender must return the extra money. Lender can repossess car without giving you any advance notice about any such action being contemplated. Get help with car repo for easy options online.